Gimme Shelter is an event hosted by the South Side Office of Concern (SSOC) to raise awareness of the challenges faced by those without a place to call home. On Friday, February 8, community members will spend the night, from 6:00 pm in the evening until 6:00 am the next morning, in a cardboard box outside the Peoria Civic Center. As part of the event, SSOC is offering a series of educational activities around the issue of homelessness from 6:30-9:30 pm in Meeting rooms 135-6 of the Peoria Civic Center. Educational sessions are open to the public and anyone with an interest in the issue of homelessness is welcome to attend. Gimmie Shelter participants are asked to raise $1,000 for the "privilege" of participating. Proceeds from the event will benefit SSOC and support our continuing efforts to provide permanent supportive housing and homeless outreach services to end homelessness in our community. 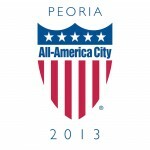 Individuals and teams can sign up to participate at www.ssocpeoria.org. For more information contact Kristen Berchtold at 309/674-7310, ext. 168 or kberchtold@southsideofficeofconcern.org. SSOC is the largest provider of supportive housing dedicated to eliminating homelessness in our community. With 159 units of housing, SSOC is taking people off of the streets - veterans, families, children, and single adults - and placing them in permanent homes. Providing a place to live is only the beginning. SSOC works to ensure each family or individual is able to maintain their home with services and support dedicated to helping them build self-sufficiency and the skills theyneed to change their lives.